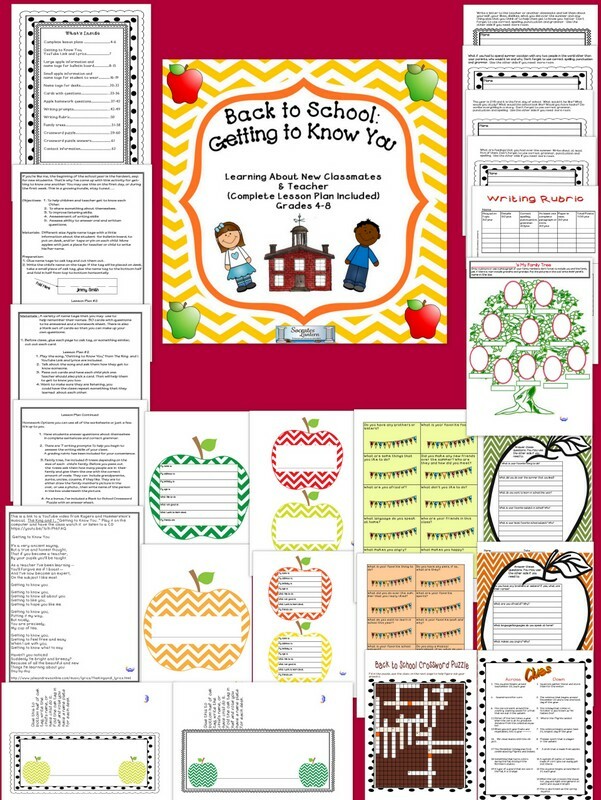 I finally finished updating this Back to School Binder for Grades 4-7 and Special Education. I love music so I’ve incorporated the theme “Getting to Know You,” from Roger’s and Hammerstein’s The King and I. You can use the included YouTube video link to the song as well as a copy of the lyrics. This binder has everything you need to begin the school year such as name tags for the bulletin board, for the kids to wear and even to place on desks. 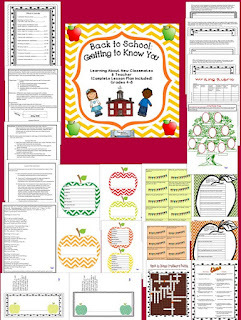 I’ve added 6 writing prompts with a grading rubric, family trees, cards with questions to answer as ice breakers, a crossword puzzle, and more. This is a growing bundle, when I think of more things to add, I will let you know. If you think of more things for this binder that would make your life easier, just comment. I hope you like it.